Help us by starting your own fundraising campaign for a better new year / xmas-time. 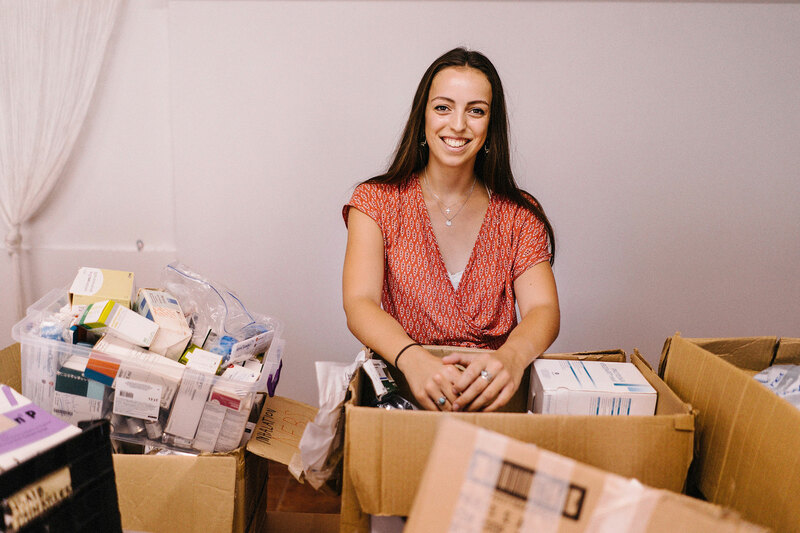 The Medical Volunteer’s mission is to help where it is really needed, when regular medical care in the Greek health system is not available. Become a volunteer! Help people who have lost everything and enable them to build a new life. Please donate for medical supplies and equipment! 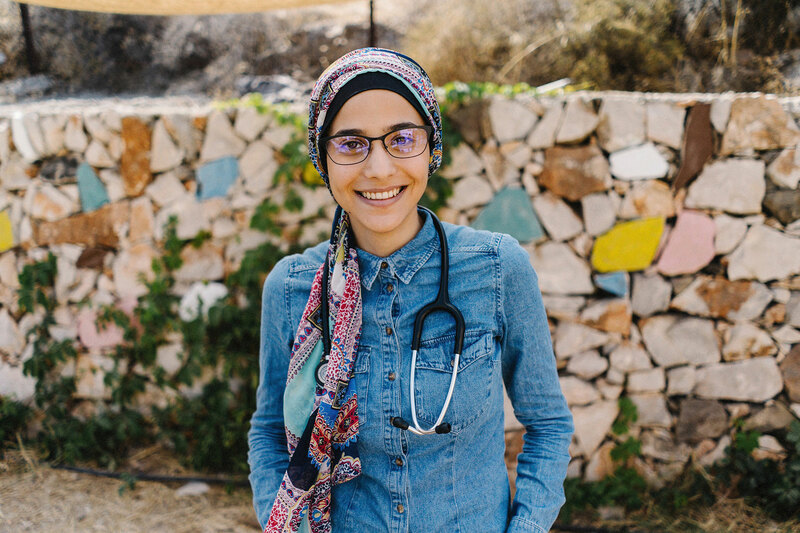 Meeting primary health and medical needs of refugees who can’t see a doctor without fear of racism or deportation. 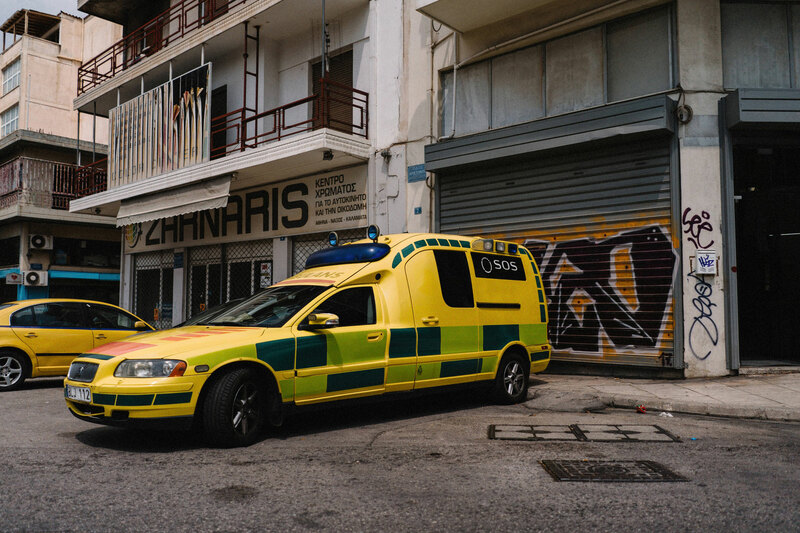 We are currently treating 3,400 patients per month across Thessaloniki, Lesvos and Athens. Become a volunteer and help people who have lost everything to build a new life. Our small team delivers life saving health measures to displaced people to reduce distress. We keep our costs as low as possible but for us to remain equipped with medical supplies and infrastructure we rely on your donations. We love to hear from you! Contact us using our online forms and sign up to our Newsletter. 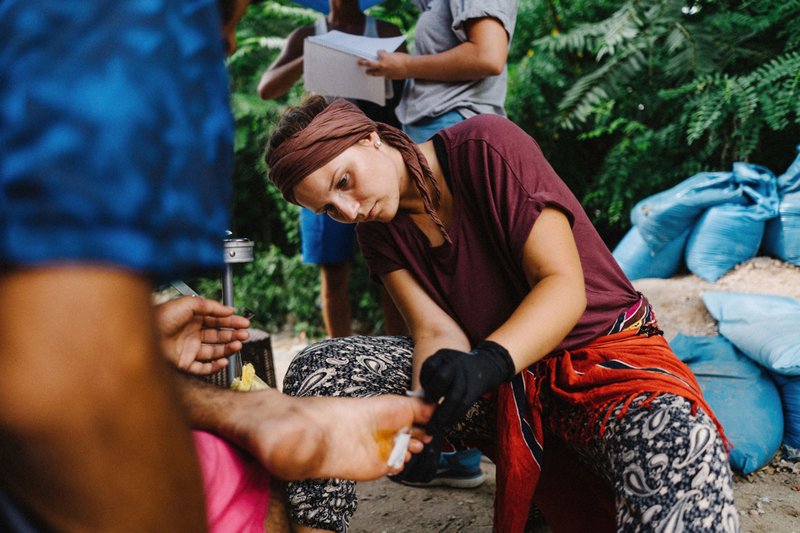 Medical Volunteers has made it its mission to help where it is really needed, where normal medical care is not available. 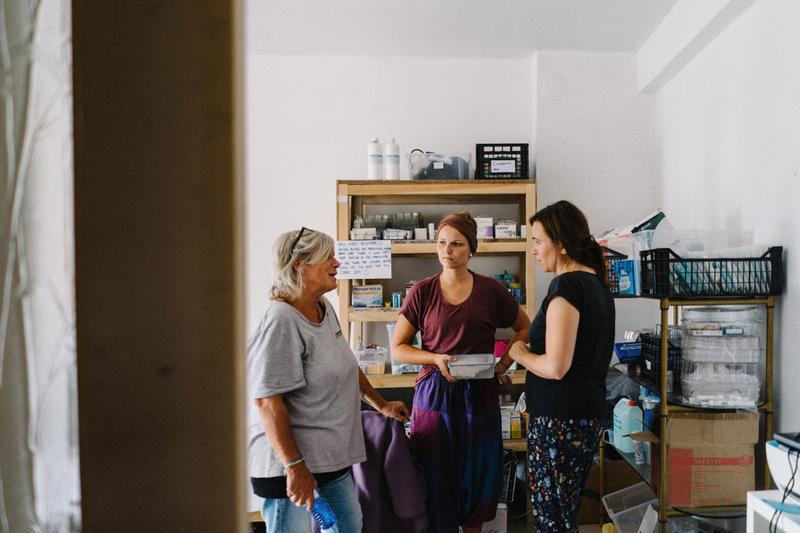 We meet the primary health and medical needs of refugees who cannot see a doctor without fear of racism or deportation and reach medical volunteers from all corners of the world through our own network of supporters and a key partnership with Indigo recruitment. 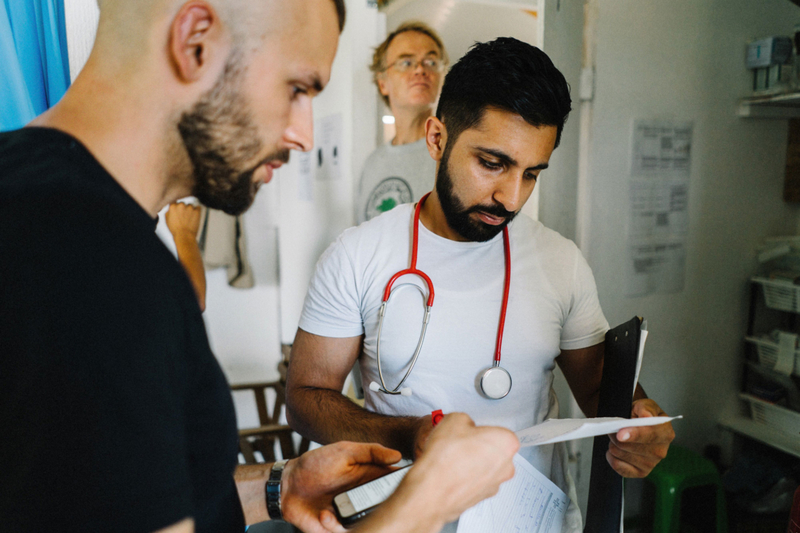 Our volunteer medical teams assess, manage, refer and administer medications to refugees who have no access to other medical services. We are currently one of the only medical services that accept undocumented refugees as well as documented. Our strengths are evident in our good reputation, extensive global network of skilled volunteers, repeat volunteering, commitment, passion for our work, low costs per patient treated and our flexibility. Why donate? We rely on donations to buy medical equipment, disposables and medication. We keep our overhead costs to the absolute minimum. With your support we are able to provide primary health care to displaced people where no one else does. 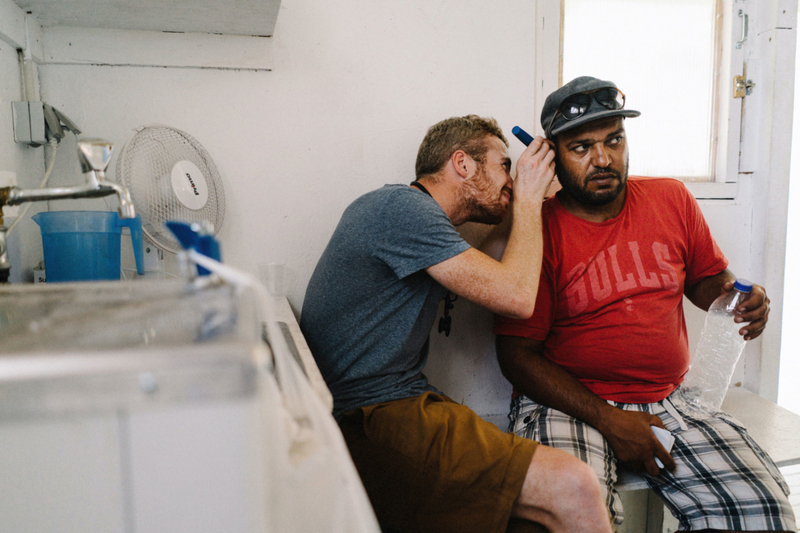 Approximately 50% of our patients are unregistered refugees and are not eligible for local health services. This is why our work is so important! I am a paramedic. In October 2018 I was in Thessaloniki for the first time. Unregistered refugees have no access to medical care in Greece. That’s why one focus of the work was the treatment of their health problems. My main task was the treatment of infected wounds, cuts and the consequences of long marches on the feet. During my time in Thessaloniki, I have seen the importance of continuous on-site support in a network with other organisations. I have met dedicated people who try to help refugees in need even under the most difficult conditions. 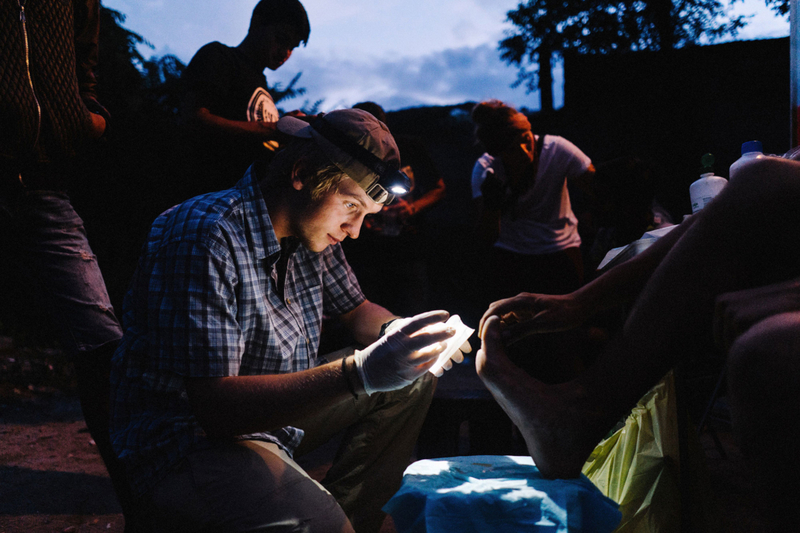 This often involves more than just medical care. Water in summer, warm clothes and sleeping bags in winter, food and the opportunity to meet, to talk, to sing together are equally important needs. Trying to fulfill these needs is also an important part of the on-site work. For my life, being a part of this team of helpers has been a formative experience. I hope there will be many volunteers in the future to continue the work. After completing my medical studies, the support of the organisation on-site in Thessaloniki was an instructive, interesting and exciting experience that I would not want to miss. Medical Volunteers International e.V. offers refugees a low-threshold access to medical care, which is especially important for new arrivals, unregistered and/or homeless refugees, because they have limited access to regular care. I find it important to get a picture of the political and everyday situation on the ground and can recommend it to everyone. 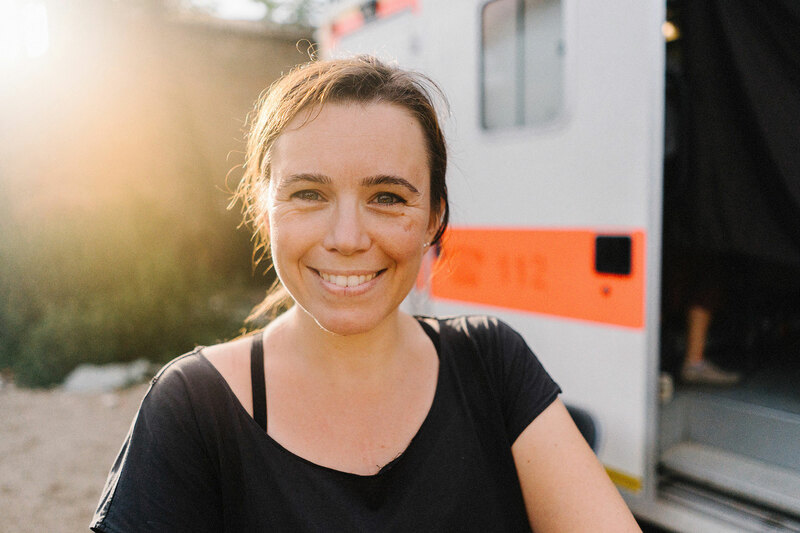 I am a paediatric nurse, coming from Germany, Stuttgart and have been to Athens as a volunteer. 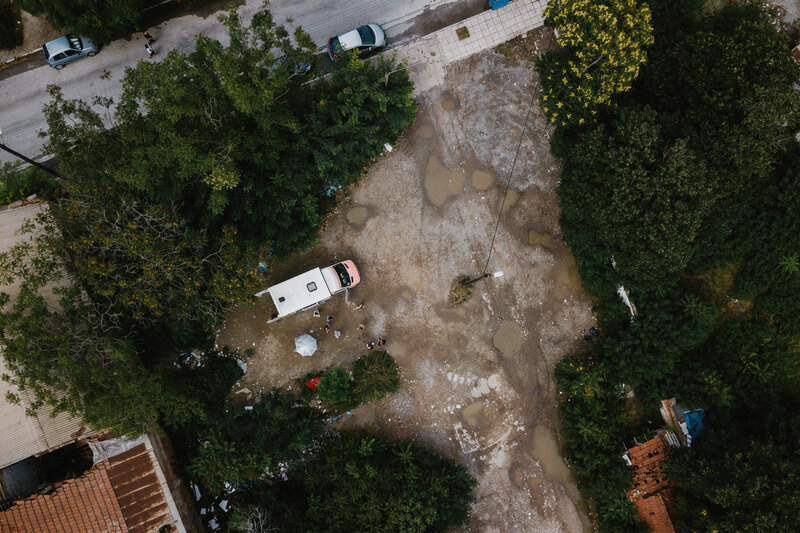 The work in Greece is very important because otherwise most refugees over there wouldn’t have access to any kind of health system and medical care. With the work in an international team you can expand your mind, get to know wonderful people and achieve a lot with small actions. 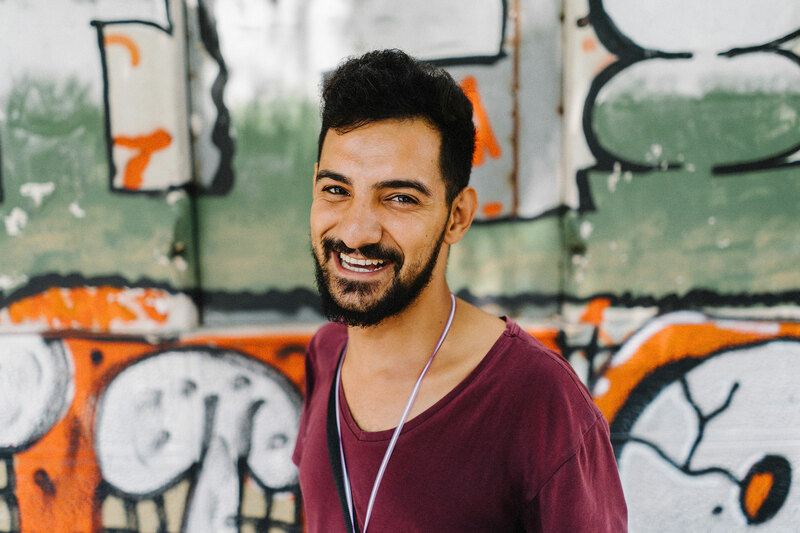 I spent 3 weeks in Thessaloniki where I treated displaced refugees with other great volunteers from around the world. The patients, mainly young and male, lived on a deserted construction site or were just travelling through. They had no access to medical care and were dependent on us for medication, medical supplies or referrals to specialist care. Some of the refugees I met became my friends. They are young adults like me hoping for a positive and peaceful future. They don’t deserve to be left alone in the way they are right now.